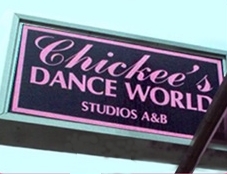 Chickee’s Dance World has been in operation since October 1983. We provide a comfortable atmosphere for which the students feel at home, therefore making dance more easily accessible. Because our instructors are very personable it allows the students and parents the opportunity to build a relationship with their teacher. All of us at Chickee’s Dance World feel it is necessary to be concerned not only with the dance instruction but with the student’s level of self-confidence. Dance can be one of the most rewarding activities when more attention is given to each student. We promise to provide memories that will last a lifetime along with self-confidence, respect and a love of dance!